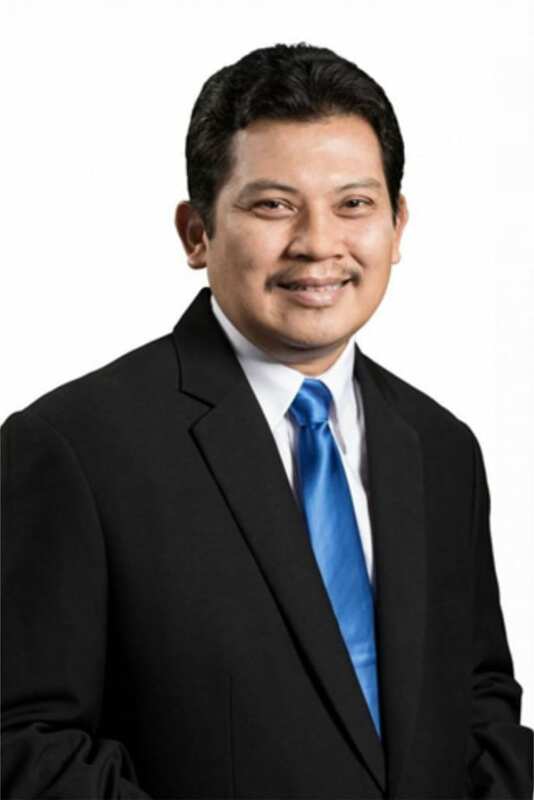 Prof. dr. Ali Ghufron Mukti, MSc, PhD, is now serving as Director General in the Ministry of Research and Higher Education and Former Deputy Minister of Health, Indonesia. He is well known for his involvement, mainly in health insurance, and has expertise in the field of health service quality, family medicine, and epidemiology. After earning his medical degree from University of Gadjah Mada, Prof. Ghufron took his master degree at University of Mahidol, Bangkok with MSc degree on tropical hygiene. After completing his master degree, in 2000, Prof. Ghufron finished his doctoral degree in public health at the University of Newcastle, Australia. As part of his educational history, Prof. Ghufron has received an award as a research fellow from Brown University. During his professional career, Prof. Ghufron has been appointed to several important positions. Some of the academic positions trusted to Prof. Ghufron are Dean of Faculty of Medicine UGM, Head of Public Health Division, Director of Gadjah Mada Medical Centre (health plan) department, and Director of Health of Gadjah Mada Graduate Program on Health Financing and Health Insurance Management in the Faculty of Medicine, University of Gadjah Mada, Yogyakarta. My current research interests are health policy, health system strengthening, health care financing, and universal health coverage in Indonesia. Tangcharoensathien, V., Patcharanarumol, W., Ir, P., Aljunid, S. M., Mukti, A. G., Akkhavong, K., … & Mills, A. (2011). Health-financing reforms in southeast Asia: challenges in achieving universal coverage. The Lancet, 377(9768), 863-873. Mukti, A. G. (2007). Strategi Terkini Peningkatan Mutu Pelayanan Kesehatan: Konsep dan Implementasi. Pusat Pengembangan Sistem Pembiayaan dan Manajemen Asuransi/Jaminan Kesehatan, Yogyakarta: Fakultas Kedokteran Universitas Gajah Mada. Mukti, A. G., Treloar, C., Asdie, A. H., D Este, K. A. T. E., Higginbotham, N., & Heller, R. (2000). A universal precautions education intervention for health workers in Sardjito and PKU Hospital, Indonesia. Southeast Asian journal of tropical medicine and public health, 31(2), 405-411. Ensor, T., Firdaus, H., Dunlop, D., Manu, A., Mukti, A. G., ayu Puspandari, D., … & Vaughan, P. (2012). Budgeting based on need: a model to determine sub-national allocation of resources for health services in Indonesia. Cost Effectiveness and Resource Allocation, 10(1), 11. Mukti, A. G. (2001). Kemampuan dan kemauan membayar premi asuransi kesehatan di Kabupaten Gunung Kidul= Willingness and ability to pay health insurance in Gunung Kidul. Jurnal Manajemen Pelayanan Kesehatan, 4(2001). Indriani, D., Kusnanto, H., Mukti, A. G., & Kuntoro, K. (2013). Dampak biaya laboratorium terhadap kesenjangan tarif INA-CBGs dan biaya riil diagnosis leukemia. Kesmas: National Public Health Journal, 7(10), 440-446. Mukti, A. G. (2001). Telaah Kritis terhadap Program Jaminan Pemeliharaan Kesehatan Masyarakat di Indonesia. Jurnal Manajemen Pelayanan Kesehatan, 4(03). Padilha, A., Kasonde, J., Mukti, G., Crisp, N., Takemi, K., & Buch, E. (2013). Human resources for universal health coverage: leadership needed. Mukti, A. G. (2008, August). Health insurance for the poor. In Regional Conference on Revitalizing Primary Health Care. Mukti, A. G., & Indonesia, W. M. K. R. (2012, September). Rencana Kebijakan Implementasi Sistem Jaminan Sosial Nasional. In Forum Nasional Ke-3 Jaringan Kebijakan Kesehatan Indonesia.